The bill passed with unanimous consent on Tuesday, reports Billboard, close to five months after the bill successfully passed the House of Representatives. In April, representatives were also unanimous in allowing the bill through, voting with 415 yesses and no objections. There are still a number of steps left for the proposal to become law, with the agreed-upon Senate version of the bill now needing approval from the House. Lastly, the bill will have to receive a presidential signature to bring it into law. It is noted that the legislation went through a fast-track process for approval, with 100 senators notified the bill would be put off for unanimous consent approval and would not require a vote so long as no-one objected. By the end of Tuesday, 82 senators signed on as co-sponsors of the bill, while the remaining 18 senators stayed silent in approving it. One major change that did occur during its time in the Senate is that the bill itself has been renamed the Orrin G. Hatch Music Modernization Act, honoring Utah's Republican senator who helped introduce the bill, and will be retiring this year at the end of his term. 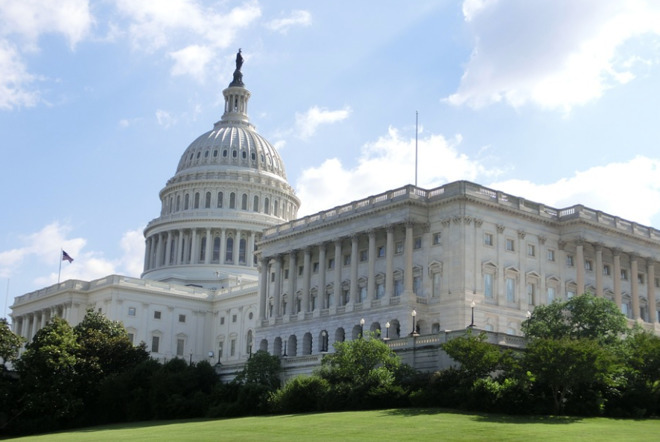 The Music Modernization Act aims to perform a number of functions to update existing music licensing laws. Specifically it combines the CLASSICS Act that applies to works written or recorded before 1972, the Fair Play Fair Pay Act, Musical Works Modernization Act for songwriters and publishers, and MP Act for producers and engineers. The bill creates a blanket mechanical license and a collective for its administration, as well as changing how courts can determine rates of pay. The bill also ensures performance rate hearings between rights organizations BMI and ASCAP, as well as licensees, rotate across all U.S. Southern District Court of New York Judges, rather than the current system where cases are assigned to just two judges. The act also eliminates part of the Digital Millennium Copyright Act of 1998 that establishes additional considerations for "pre-existing digital services" that are not provided to other digital services when rates are set, such as music streaming services like Apple Music. There is also the establishment of royalties for labels, artists, and musicians to be paid by digital services for any master recordings produced prior to February 15, 1972. To Apple Music and its streaming competitors, the bill also adds in protections, in that the services cannot be sued for damages over royalties, so long as they comply with the law and create a database of authors and composers for all hosted music. This would help eliminate the practice of reimbursement suits against some streaming services, which have occurred in the past. For example, Pandora settled a 2015 royalties lawsuit from major record labels over pre-1972 recordings for $90 million. Another early 2017 lawsuit demanded $1.6 billion from Spotify for claims of copyright infringement for tens of thousands of songs. For the music industry, the bill stands to improve payments to songwriters and artists, who have previously complained about the extremely low rates they are being paid. While the bill won't change the value paid per stream by any large amount, the mechanisms it seeks to put in place aims to ensure payments do get paid. "Songwriters have suffered long enough and this bill will allow them to be paid fairly by the streaming companies that rely on their work," said NMPA chairman Irwin Robinson, calling the passage "the most exciting development I've seen in my career." SoundExchange president and CEO Michael Huppe said in a statement "The future of the music industry got brighter today. Creators of music moved one step closer to getting paid more fairly." ASCAP CEO Elizabeth Matthews suggests the unanimous passage in the Senate "represents a Herculean industry-wide effort to promote and celebrate songwriters and ensure their right to a sustainable livelihood."